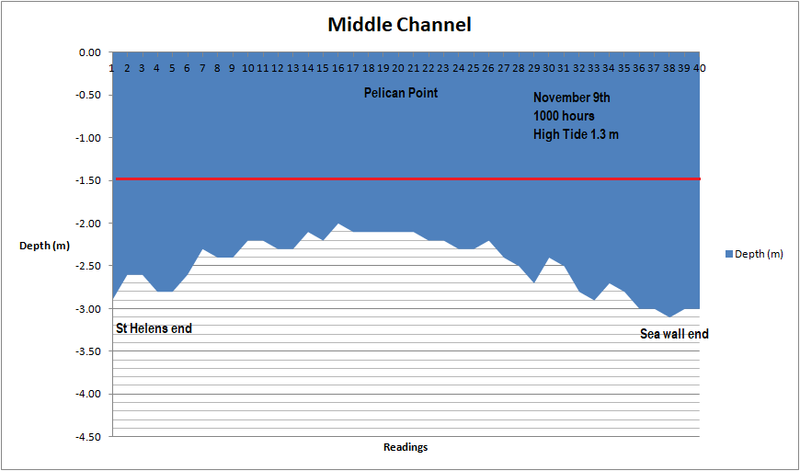 St Helens Marine Rescue took a depth profile of Pelican Point today. Depth wise it is the best we have seen for a long period of time. Mariners are urged to take care when transiting this shallow section of Georges Bay. Take note of the time and tide data when these readings were observed. I f in doubt always seek local advise. We are contactable on 0408 817 359 or VHF Channel 16 from 8:00 am until 5:00 pm.